With temperatures plummeting to frosty extremes and snow flurries headed our way it is sure that winter is here, and here to stay. ‘Tis the season for hats, gloves and warm sweaters. While most seek refuge in the warmth of a big puffy jacket, I prefer fur. Arctic fox faux fur that is! Under the direction of genius choreographer Elin Schran and producer Leann Roughly, the ensemble cast of Frozen Frog Productions put on a wonderful holiday ice skating show. 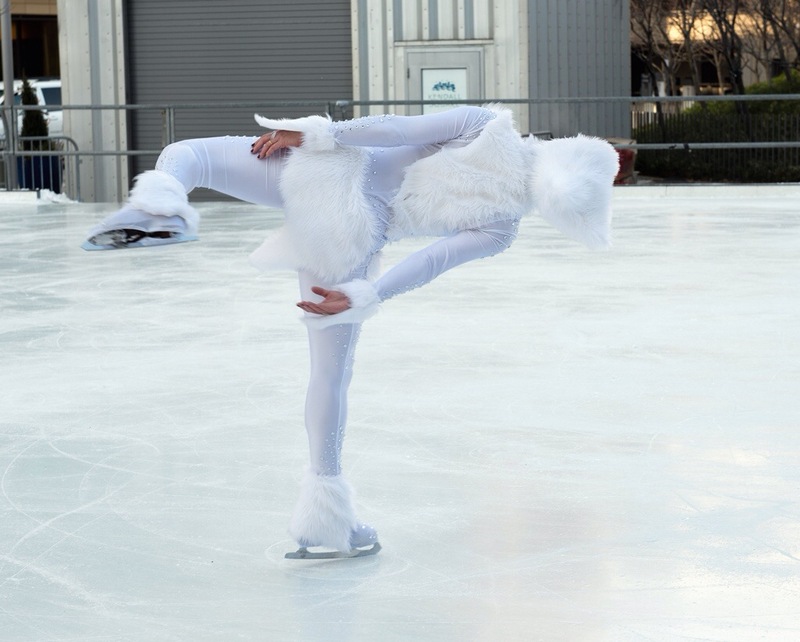 This year, along with a handful of other professional skaters, I will be performing as an arctic fox. I will be bustin’ moves left right and center along with my foxy friends and some other guests from way waaaaay up north…. This show is always so much fun because it highlights local talent, ignites community spirit and brings the love of ice skating to adults and children alike. So, come on down to the Community Ice Skating Rink at Kendall Square tomorrow Dec 14th and GET FOXY! And the best part…. ITS FREE!!!! And every better you get to come skate with the stars of the show for FREE after the show! And don’t worry about the cold, warm beverages and small bites will be served to keep you warm and get you in to the holiday spirit!!!! Come on down for a great show and enjoy the talents of local professional and competitive skaters. Dig out your skates from the back of your closet, dust them off and show us your moves! !